Connectivity solutions provider KVH Industries, Inc. announced that Brazilian oil and gas transport company Transpetro has chosen KVH VSAT connectivity for the majority of its tanker fleet. Transpetro, which provides transportation for the Brazil's state-owned oil and gas company Petrobras, chose KVH's TracPhone V7-HTS satellite communications antenna system with a five-year airtime contract for 45 tankers, including a combination of newbuilds and existing vessels. The installations will take place throughout the next 12 months in Brazil, where KVH's subsidiary, KVH Brazil, has been in operation since 2011. 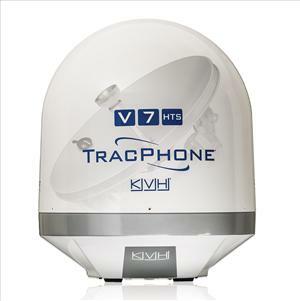 KVH's TracPhone V7-HTS is a 60 cm Ku-band satellite communications antenna designed for the mini-VSAT Broadbandsm network, which utilizes high-throughput satellite (HTS) technology. KVH's mini-VSAT Broadband network provides global maritime coverage and the TracPhone V7-HTS delivers data speeds up to 10 Mbps download, and 3 Mbps upload. Each TracPhone V7-HTS includes a belowdecks Integrated CommBox Modem (ICM), with built-in capability for onboard network management solutions.